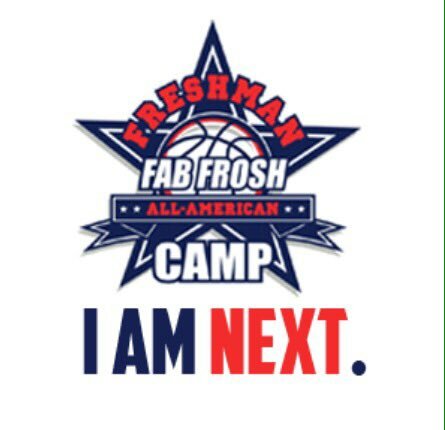 Day one is in the books for the 2017 Fab Frosh Camp (boys). Next Sports Phenom was in the building to check out some of the top players the country has to offer in the 2021 class. Unfortunately, rosters weren't yet available at time of publication so, I don't have any individual player review so this is just an overall review of the first day of camp. Clay Dade was the director for the event that is now in its 11th year and has had several notable alumni that have worn the Fab Frosh jersey. Players that made the trip in from several states such as North Carolina, New York and Florida made the trip in with the goal of both getting better and getting noticed by the the scouts and media slated to come. My first impressions are that the camp is well ran and the court coaches had years of experience. As in many events like this there is some dynamic stretching in the beginning followed by some type of stations and then the ball is thrown out for live play. Usually it is helter skelter and the more aggressive players dominate the ball without no boundaries, however, this particular format was unique as it added time for practice. The practice session allowed the coaches to learn a little about the players on their teams and also allowed the players to learn each other. Coaches were able to put in a play or two to give the games some structure and it worked as players were able to share the ball and still produce. Another nice touch to the camp was having Legit Sports Stats handle box score duties. I expect these will be available at some point for viewing as it is a great tool in tracking the kids progress. At the end of the day about 80 kids on four courts for a half days work, several more kids who had late arrivals due to travel are expected in tomorrow on the first full day session of the three day camp. NSP saw several players that caught my eye after day one, day two is expected to be special.